1. 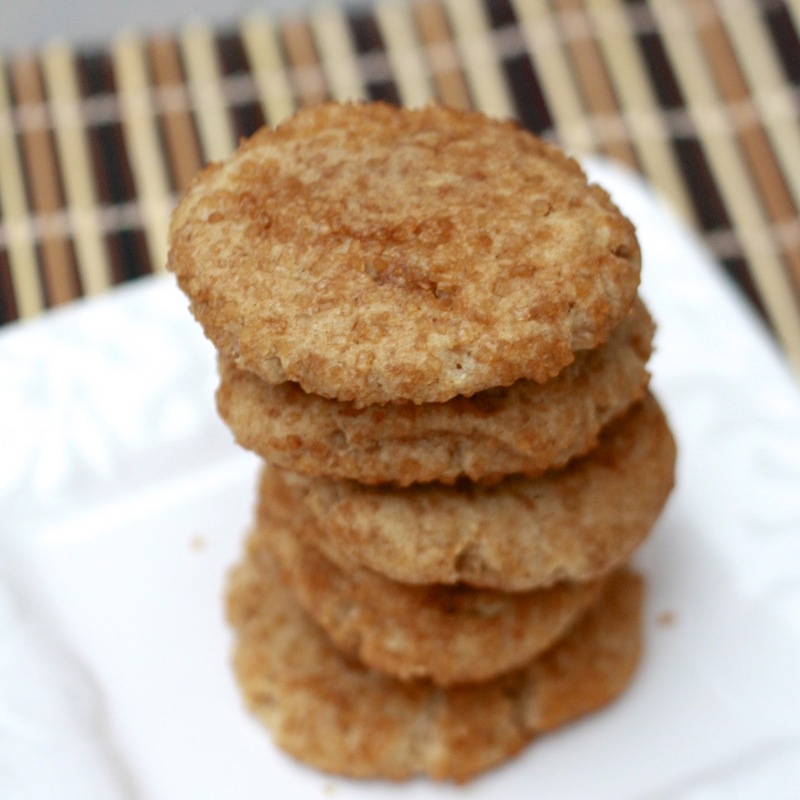 Pin Crepes of Wrath's Graham Cracker Snickerdoodles onto my To Make: Cookies board and make mental note to make sooner than later. 2. Weeks later, recall recipe and make mental note to pick up some graham crackers. 3. When writing grocery list, remember I have Spekulatius Spice Cookies (from Aldi, but any gingersnap or spiced cookie would work!) leftover from Caramel Apple Ice Cream. 4. Remember I also have some Rose Hill Ginger samples that were sent to me awhile back. 5. 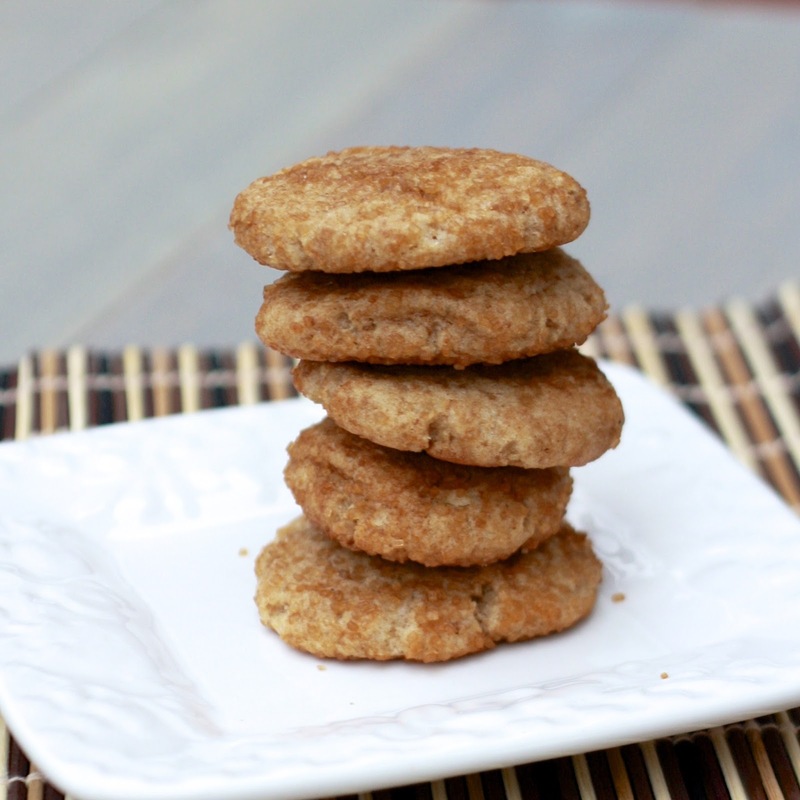 Decide a Gingersnap Snickerdoodle (a Gingerdoodle?! Gingersnoodle?!) sounds like the perfect seasonal cookie. Rush to kitchen and begin pulling ingredients out of my cabinets. 6. Bake. Bite. Boast. These are as chewy and spicy as you'd imagine. If you could bottle up the best parts of fall and put them in a cookie, these are what you'd end up with (okay, I guess they're missing pumpkin!). In case you couldn't tell, I loved how these turned out! I'm so glad I strayed from the original recipe, because the gingersnap version was brilliance, if I do say so myself. I knew we would be fans of them, with as big of gingersnap fans as we are in our house, but they were a hit with those we shared them with too. Next time I might have to double the recipe because the 2 1/2 dozen disappeared rather quickly! 1. Preheat oven to 350F. Line two baking sheets with parchment paper and set aside. 2. Cream together butter and sugars until light and fluffy, about 3 minutes. Beat in the egg and vanilla. 3. In a separate bowl, combine the gingersnap crumbs (use a food processor or blender to turn to crumbs), flour, baking powder, and salt. Add to the creamed ingredients, mixing just until combined. 4. In a small bowl mix the sugar and cinnamon for the cookie coating. Roll dough into 1-inch balls and then roll in the cinnamon-sugar mixture. Place on prepared baking sheets, flatten slightly with your hand, and bake for 10 minutes, until baked through but still puffed and soft.